CBS Corp. reported quarterly results Thursday and at the start of a conference call to discuss the earnings, a company official issued an edict that such terrain would be off limits for questioning.. reports The Wall Street Journal. There were two questions about legalized sports betting; one on Amazon.com Inc.’s potential as an ad-sales juggernaut; many about CBS’s growing streaming ambitions. 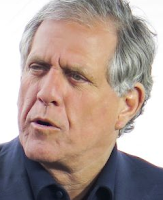 Although CBS stock has tumbled on news of the allegations Moonves faces, and the ensuing intrigue about how the company and its board are handling the situation, no analyst asked the reason for leaving Mr. Moonves in place pending the investigation, when the board first was made aware of allegations against him, and by whom, and has the company received or uncovered any additional complaints. Instead, the analysts stuck to the script. Mr. Moonves opened with lengthy remarks about the company’s results, speaking of his optimism about the company’s new streaming-video services. In the question-and-answer portion, he jumped at the chance to weigh in on sports gambling services as a source of ad revenue. “We’re extremely excited,” Mr. Moonves said, adding the category has “an unbelievable upside. CBS had a good story to tell about its business. The company reported better-than-expected revenue of $3.47 billion for the June quarter, up 6% from a year earlier. Affiliate and subscription fee revenue grew by 17%, pushed higher by a rise in carriage fees for its TV stations and growth in digital initiatives like its direct-to-consumer streaming services. CBS said those services, CBS All Access and Showtime OTT, are ahead of schedule in adding subscribers and are expected to have 16 million subscribers by 2022, as they rapidly become a meaningful part of the broadcaster’s business. Content licensing and distribution revenue grew by 4% while advertising sales were up 2%. Profit increased to $400 million, or $1.05 a share, from $58 million, or 14 cents a share, a year earlier. Shares of CBS fell 1.5% in after-hours trading. For the year, the stock has fallen more than 10%, most of those losses coming since last week’s report of the harassment allegations.